CUMBERLAND — A bill that would impose strict liability on gas drillers for injuries and property damage is advancing in the General Assembly. That’s how long it took Dominion Virginia Power to abandon its pledge of transparency for a law that eliminated state regulation of its base electricity rates until 2020. 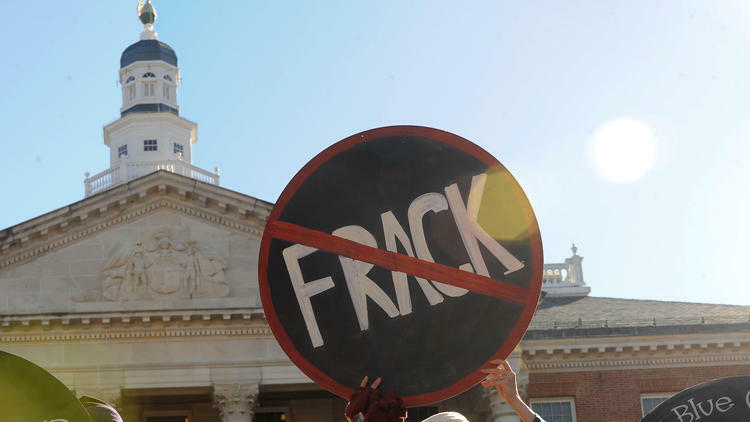 Republican and Democratic supporters of SB1349, sponsored by Virginia Beach’s Sen. Frank Wagner, touted the measure as a way to lock in current base rates and protect Dominion’s customers from paying more because of federal environmental regulations. OAKLAND, Md. 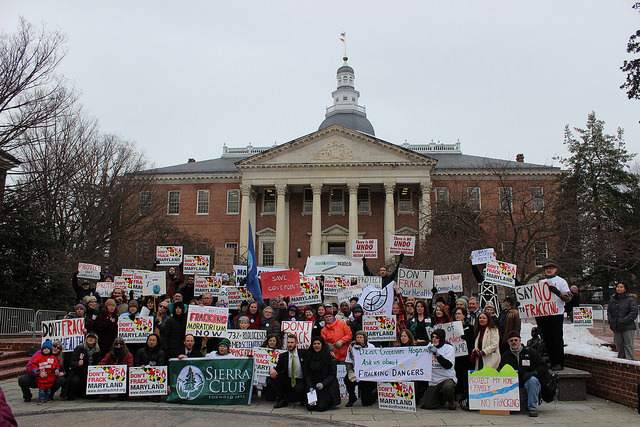 — Real-estate brokers in far western Maryland are supporting a proposal in the Maryland General Assembly for an eight-year moratorium on hydraulic fracturing for natural gas pending further study. 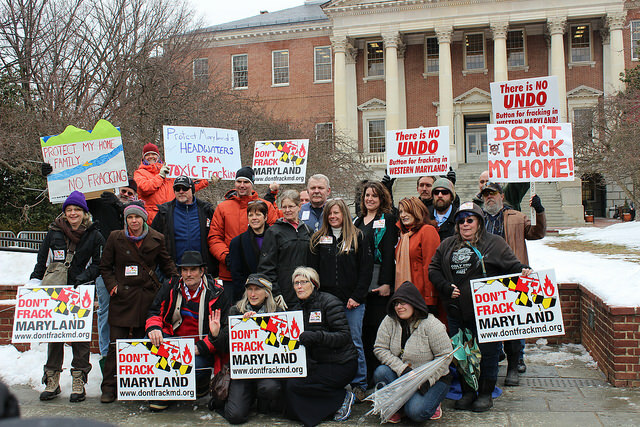 “Don’t Frack Maryland” Rally outside the Maryland Statehouse on March 3/Photo courtesy of Chesapeake Climate Action Network.